Our founder, Ms. Jean Johanningman, wanted to enhance the development of the child in ways beyond traditional programs. Building from the strong foundation of the Montessori Philosophy, she situated her classroom in healthcare centers to facilitate intergenerational learning. In this environment, our students have the opportunity to interact with residents in programs structured to promote inclusiveness and collaboration across generations. 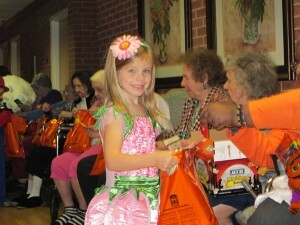 Residents join the preschool and kindergarten children for crafts, gardening, singing, and baking. These interactions between children and residents reflect the importance Country Hills Montessori places on community in the healthy development of the child. This has become a continued hallmark of the Country Hills Montessori schools. Our Country Hills Montessori School System has grown from our original location in Montgomery, Ohio, to seven locations. Country Hills Montessori preschool and kindergarten classrooms can be found in the greater Cincinnati, Dayton, and Springboro areas, as well as in Northern Kentucky. We have recently opened two new centers in Oakley and West Chester.